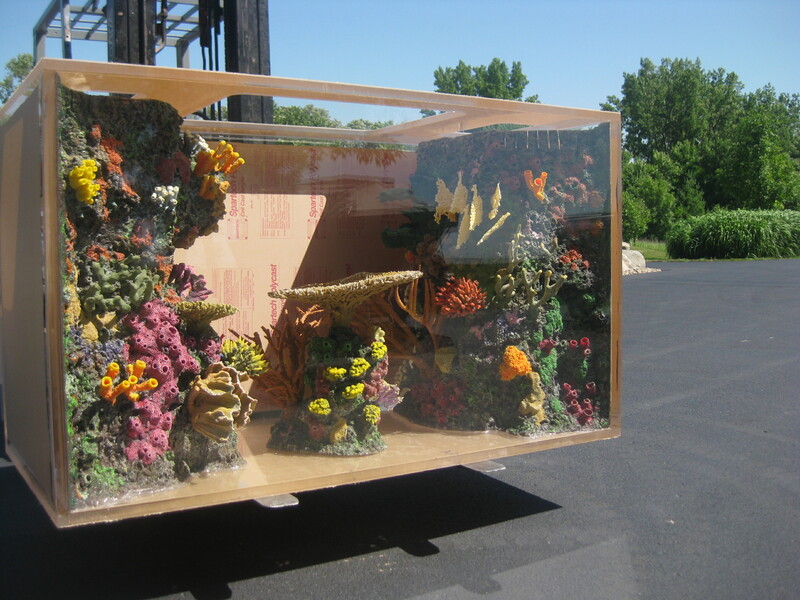 Midwest Custom Aquarium can supply you with custom reef inserts or exterior rockwork/theming for your setup. 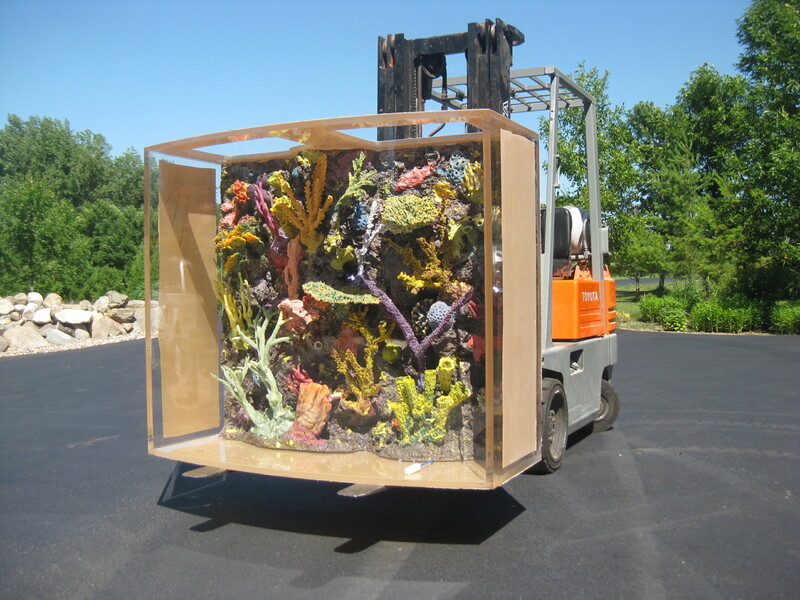 Artificial reef inserts are typically more natural looking than most of the other fake corals you will find sold individually. 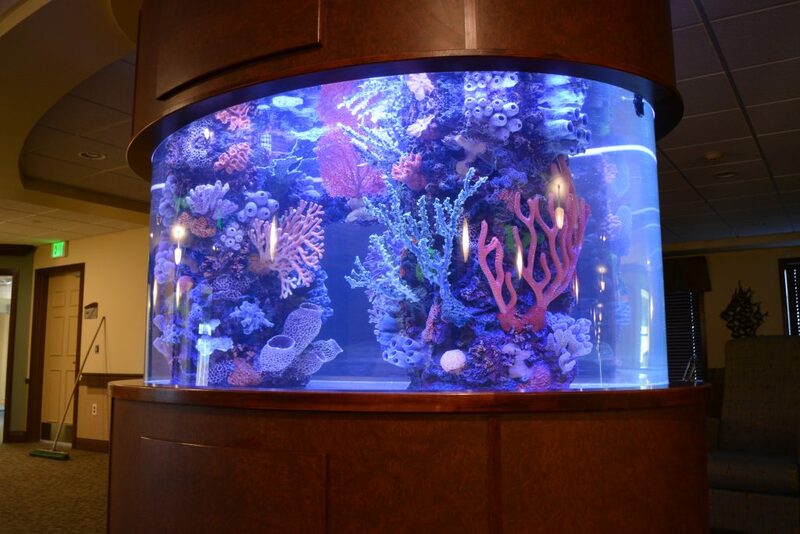 Reef inserts are non-toxic, will not scratch the acrylic, and are very durable. 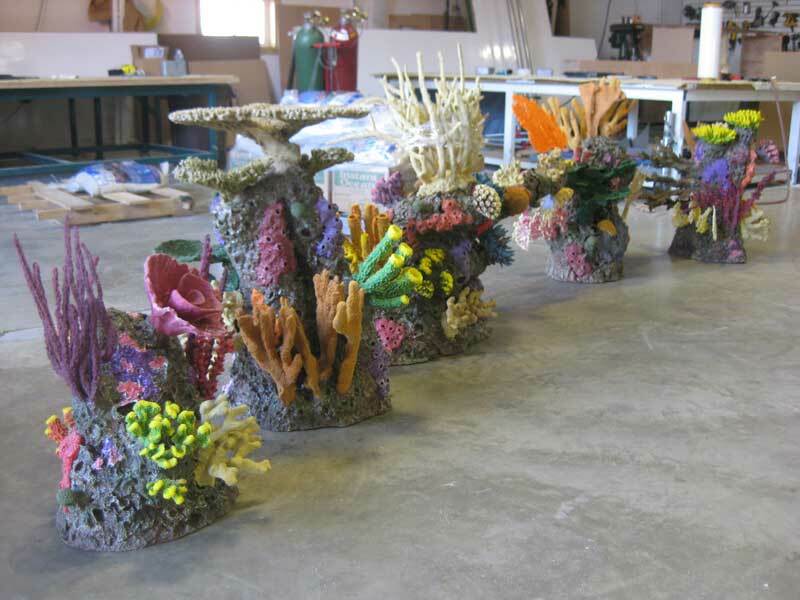 The coral species and colorings can be varied and they can be built for a multitude of applications such as backdrops, overflow box covers, freestanding islands, or used as the overflows themselves. 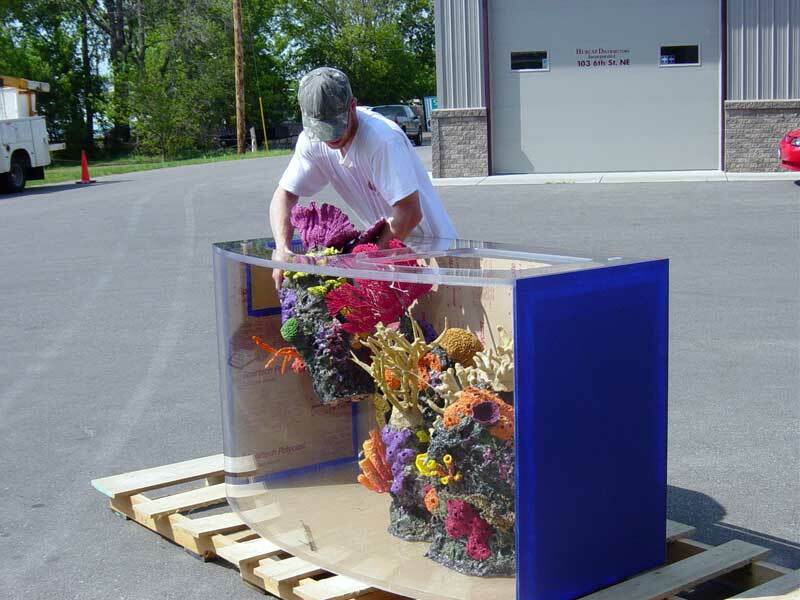 Some applications, such as when the insert is one-piece and built into the tank, will not allow for removal from the tank and would be considered permanent. 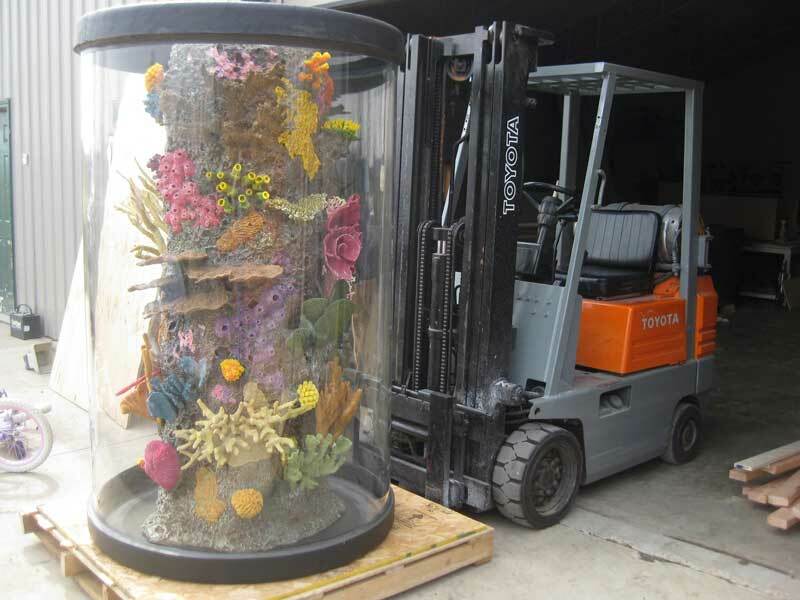 Other applications will allow for removal of the insert(s) if the individual pieces are small enough to fit through the access holes on the top of the tank, in case you wanted to remove them from the tank for any reason. 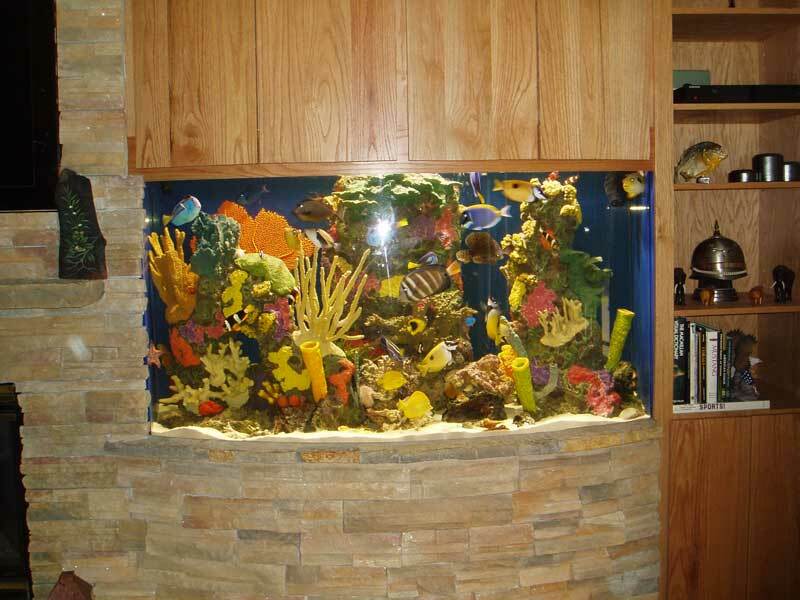 Be aware, artificial inserts are also quite expensive. 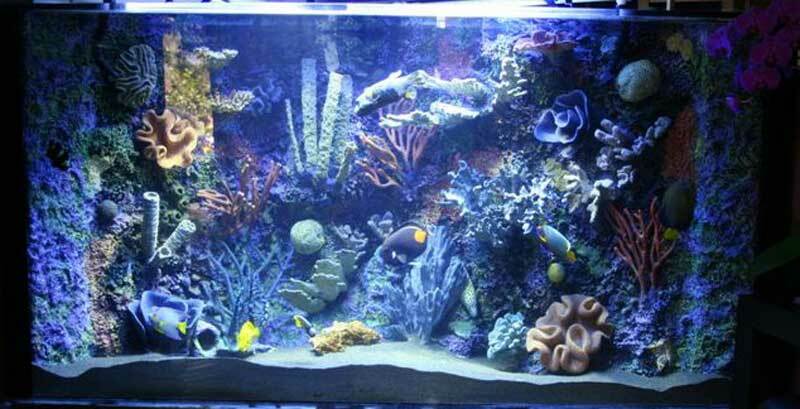 In some cases more than the tank itself. 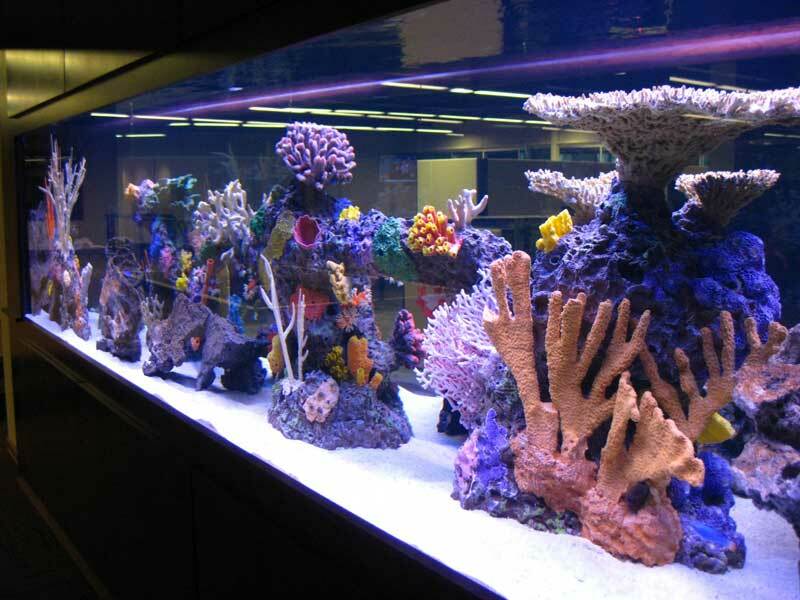 But they are always a beautiful addition to any tank and one that does not remove livestock from the wild. 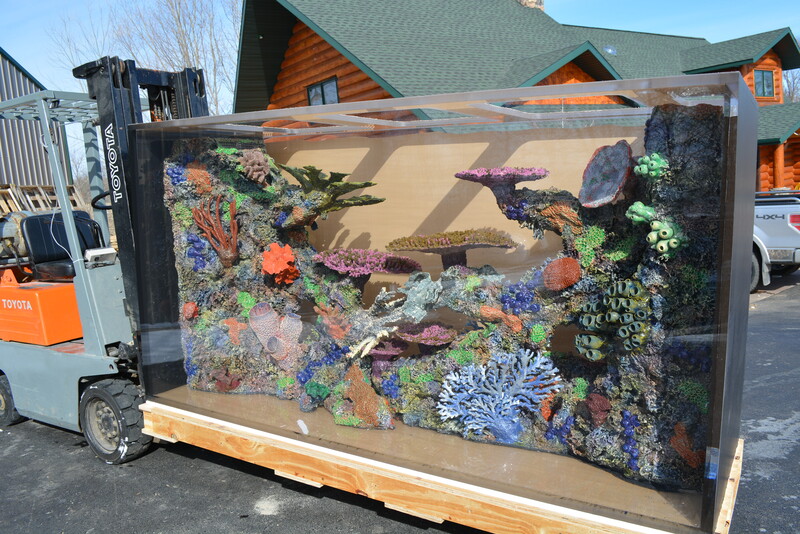 Feel free to give us a call if you have any questions regarding the possibility of adding a reef insert to your tank. It is always better to coordinate with the building of your tank rather than add one as an afterthought. 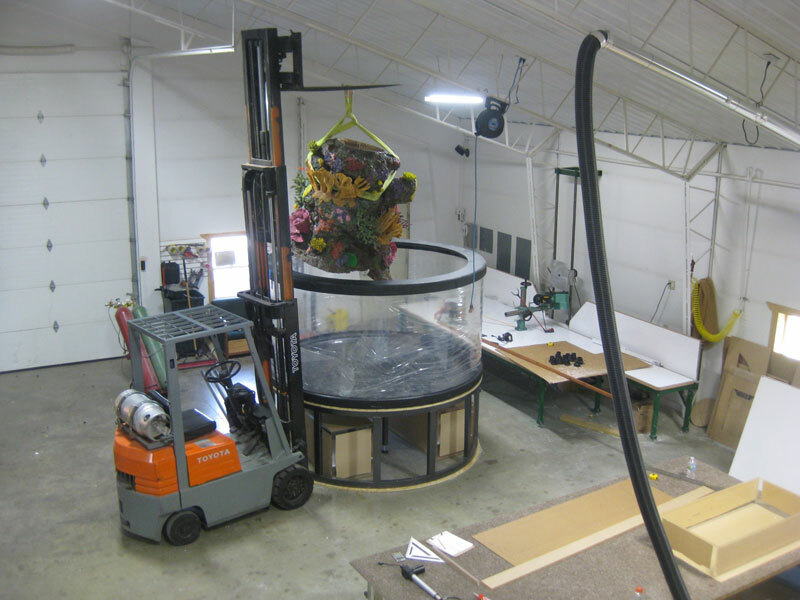 Artificial inserts are the one thing we do not build in-house. 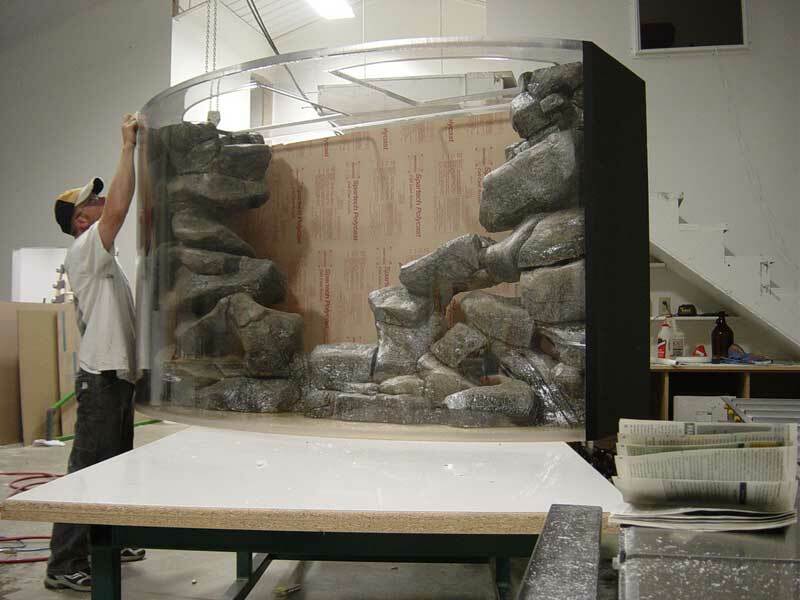 There are a variety of insert manufacturers out there, but we have our favorites and get most from a couple of sources. 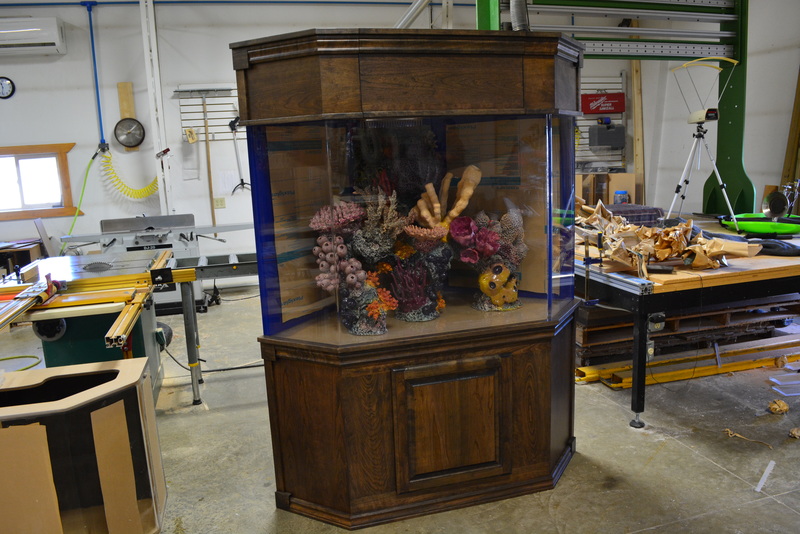 They can take a while to have manufactured as they are all custom and hand built. 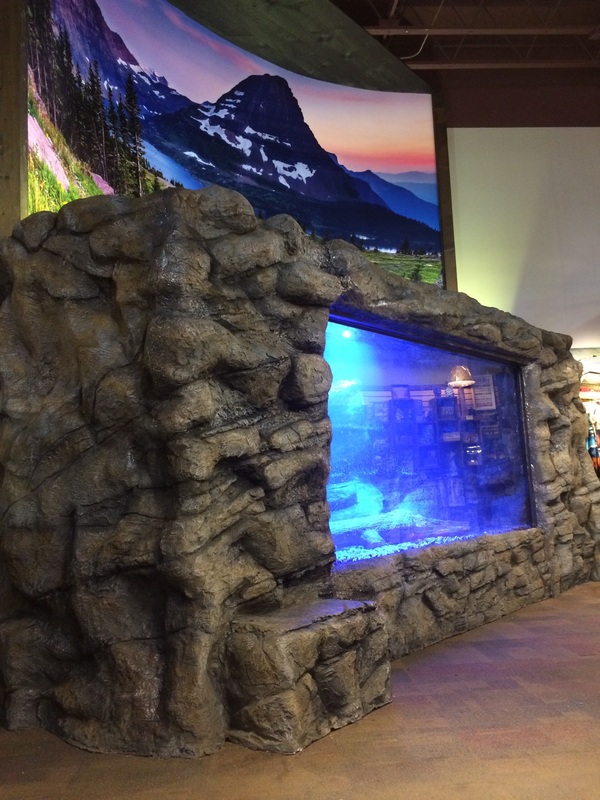 Artificial Boulder Ledge Insert built into freshwater bowfront. Not removable.